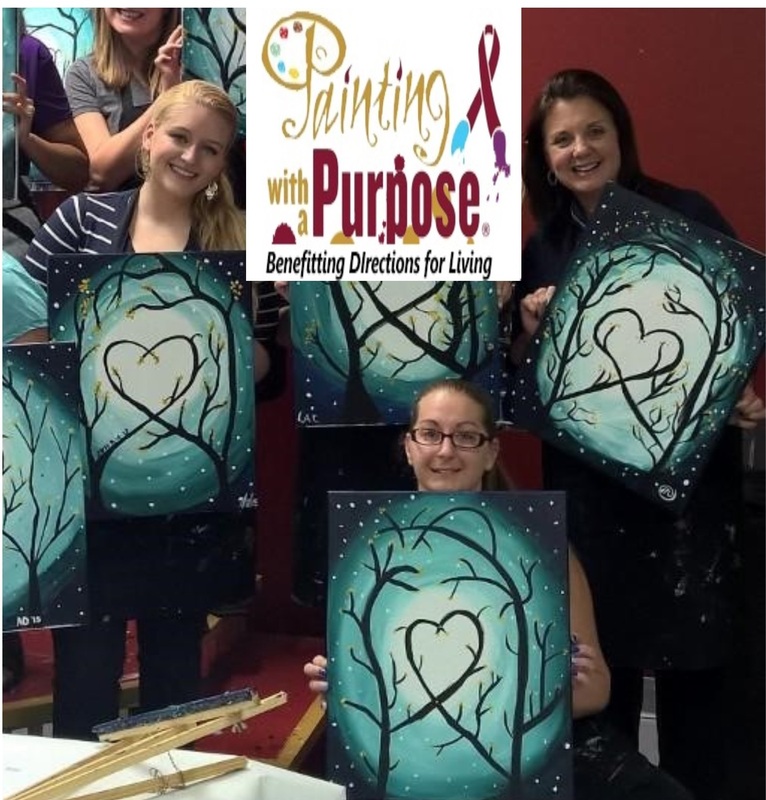 Michelle Gilbert and employees participating in a fund raiser for Directions for Living. 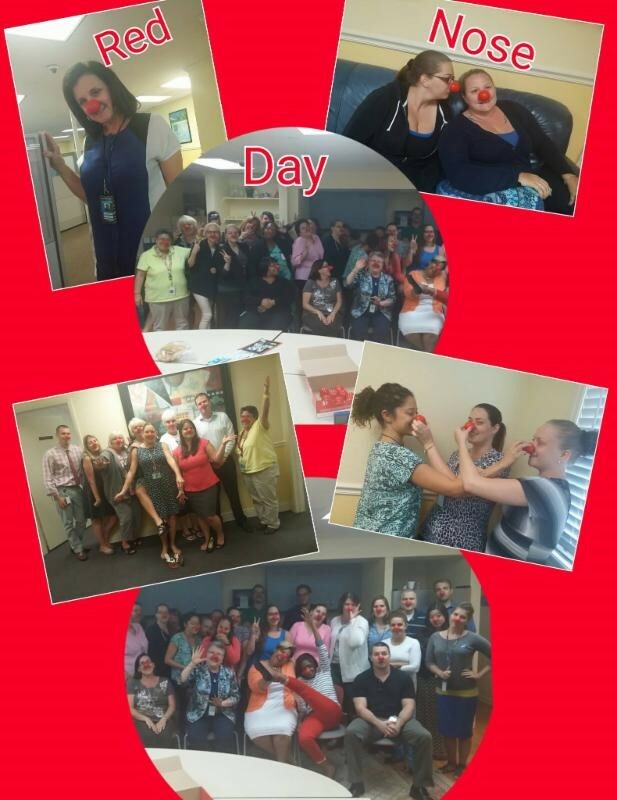 Silliness for Red Nose Day, but for a great cause! Helping out with Directions for Living for a great cause! Working with the Humane Society of Tampa Bay in an effort to collect donations. 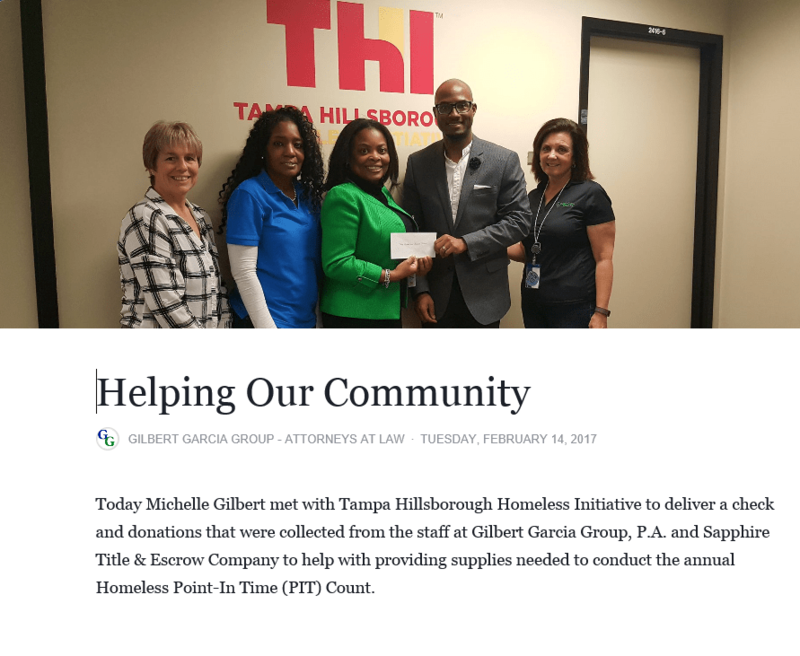 We take great pride in giving back to the community and our whole team participates in at least one philanthropic effort per month. We care about both our team members and our community, so giving back is the least we can do. Perhaps most importantly, we invest in the future of our children as a corporate sponsor for Cristo Rey Catholic High School and their new pro- gram which empowers underprivileged children to do some interning at our office twice a week. Yes! of America United Inc.
Volunteering for High Risk Hope Tot Trot. 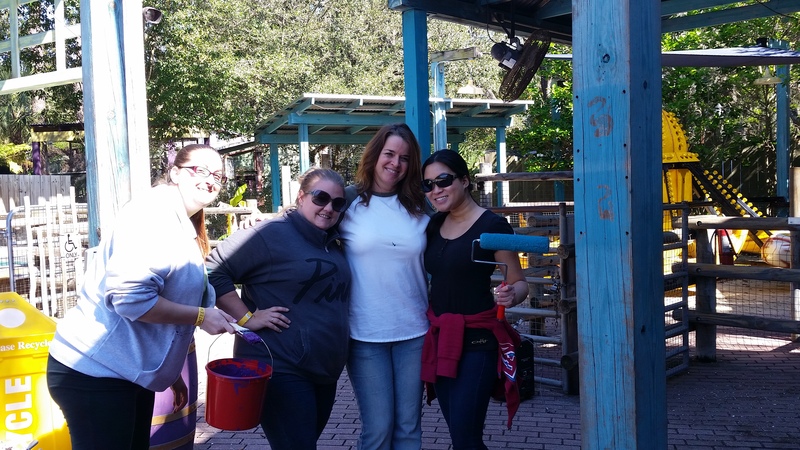 GGG employees volunteering at Lowry Park Zoo, 2015.